ARRL Field Day is the single most popular on-the-air event held annually in the US and Canada. Each year over 35,000 amateurs gather with their clubs, friends or simply by themselves to operate. It is a time where many aspects of Amateur Radio come together to highlight our many roles. 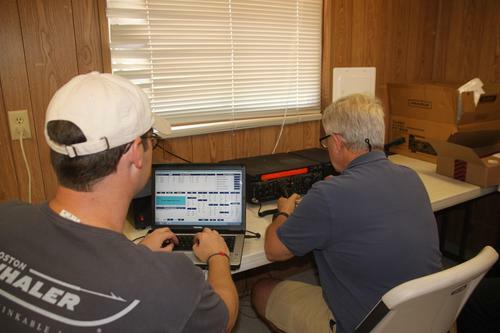 For many clubs, ARRL Field Day is one of the highlights of their annual calendar. While some will treat it as a contest, most groups use the opportunity to practice their emergency response capabilities. It is an excellent opportunity to demonstrate Amateur Radio to local elected community leaders, key individuals with the organizations that Amateur Radio might serve in an emergency, as well as the general public. The objective is to work as many stations as possible on all amateur bands (excluding the 60, 30, 17, and 12-meter bands) and to learn to operate in abnormal situations in less than optimal conditions. Field Day is open to all amateurs in the areas covered by the ARRL/RAC Field Organizations and countries within IARU Region 2. Field Day is always the fourth full weekend of June, beginning at 1800 UTC Saturday and running through 2059 UTC Sunday.